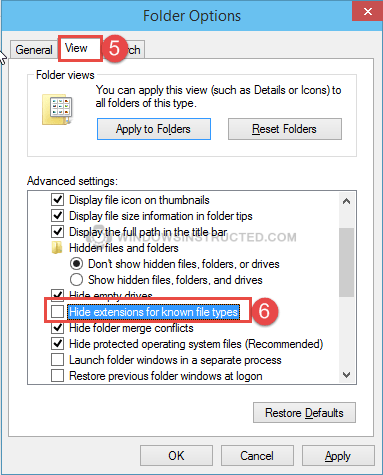 Windows 10 and Windows 8 hide by default the file extension for known file types, however If you like me love to see them then you can tell File Explorer to always show them to you. This tutorial is for multiple Windows Versions: Windows 8, Windows 8.1 and Windows 10. The steps are the same, however the layout of the menu’s might be different. Show File Extension in File Explorer. 1. Open File Explorer and open any random folder. 2. Click on View in the top bar. Windows 10 and Windows 8 should now always show the file types after the name for all files.